The memorial day: every 27th of January we remember the massacres committed by the Nazis, as a warning that something similar does not happen again. The mistake we maybe make is to limit – in this memory – only to people who died in the death camps, forgetting all them who lost their life because of collateral demages of that war. 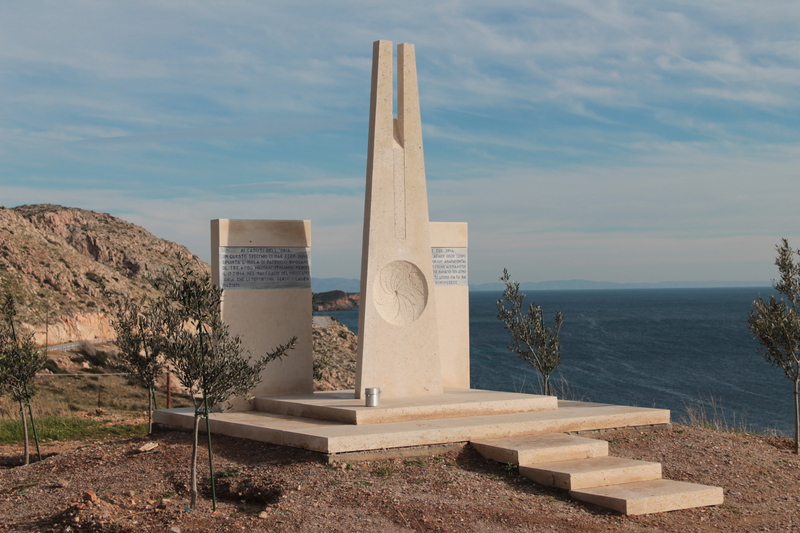 A few miles from Athens, along the road that runs along this stretch of Greec coast, you can find a particular monument. In Italiano and Greek you can read: To the fallen of Oria. 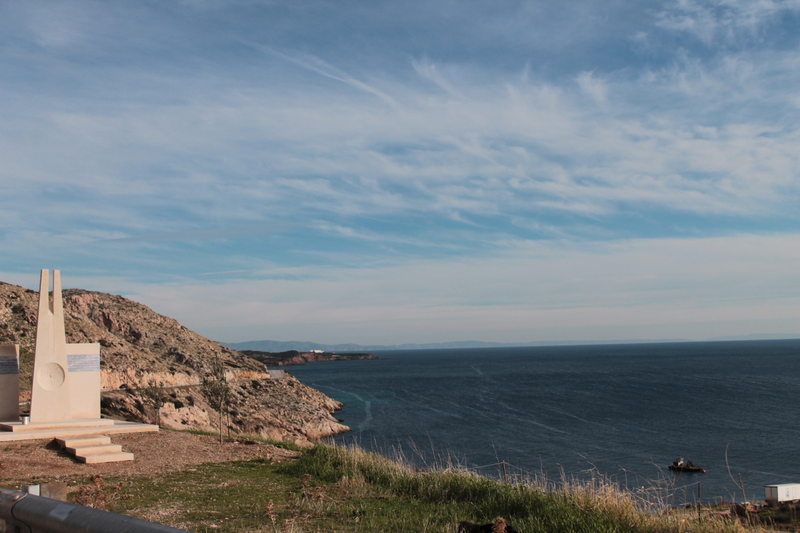 In this mirror (=little part) of Aegean Sea where the Patroclus island comes out, more than 4.000 Italian soldiers rest, died on 12-2-1944 for the sinking of the steamship Oria, which was deporting them to Nazi lagers. 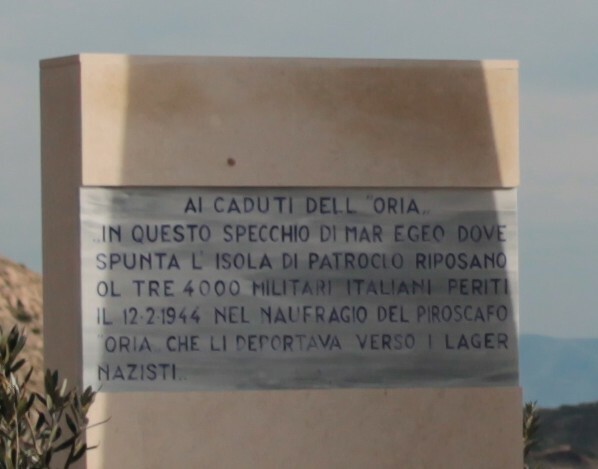 Not all the Italian soldiers of that years were faithful to Fascism and Nazism. An example is the one of those 4.200 who had the courage to say no to nazism and RSI after the armistice of 1943, becoming prisoners of the Germans, destinates to become workforce in the nazi camps. Not being war prisoners, they weren’t subject to benefits of Geneva Convention, nor they had the access to Red Cross assistance: with their ethic “no” they became less than beasts to the eyes of who was conducting that steamship from Rhodes to the Athens port of Piraeus. Near to Cape Sounion, on February the 12th 1944, the old Norwegian ship was overwhelmed by a storm, ran aground in the shallow waters of Patroclus island and sank. The survivors were only 5 crewmen, 6 Germans and 37 Italians. Around 250 corpses has been found along the coast, all the others still rest in the bottom of Aegean Sea. After the impact of the ship against the rock I was thrown to the ground and when I could get up a strong wave pushed me into a little room in the bow of the ship, on the same floor of the deck. Who talks is Giuseppe Guarisco, the Artillery Sergeant who was so lucky to be one of the few survivors. In that room – he continues – there still was the light on and I saw six more military. A bit later the light went out and the water started to enter with more violence. We climb a kind of wardrobe to stay dry, sometimes I lowered a foot to check the water level. We spent the night praying with the terror that everything went down in the sea. The hours were passing but nobody was coming to help us. The story written by the soldier is distressing and it describes each moment of the tragic hours during which you are convinced that the life is ending. One of us, exploiting the moment in which the door was open, threw himself through it to find some exit and, after a wait that seemed eternal, we saw him calling us from the little window. He said that he passed through a gash under the water. An other companion, even if I dissuaded him, tried to exit, but we never saw him again. Two days passed before rescuers was able to reach the ship. The one who could exit said that where we were, at the end of the prow, it was the only part of the ship out of the water and that around you cannot see anybody but the planes flying in the sky and to which I was doing signals. After a bit a boat with two sailors approached to us; they were Italians, from the crew of a tugboat requisitioned by the Germans. They said to stay calm and that they were going to liberate us soon. But the darkness came and we had to spend an other night maybe more terrible than the first one. For decades the tragedy has been ignored. A tragedy which didn’t involved simple sailors, nor simple soldiers, but men who recognised the invasive bad of Nazism and who refused to fight for this cause. There is who says that maybe the drowning was better ,for our compatriots, than end the life in a lager. The sure thing is that, after years, they still are an example of courage and determination. Questa voce è stata pubblicata il 31 gennaio 2015 da andreacuminatto in ARTICLES IN ENGLISH, Curious stories from the World, Events con tag 12, 1944, 2, 250, 27, 37, 4000, 4200, 6, Aegean, Africa, Andrea Cuminatto, Athens, Attica, camp, camps, Cape, crew, day, days, deport, Europe, fallens, fascism, fascists, february, Geneva Convention, german, Germans, Giuseppe Guarisco, Greece, Greek, hours, II, Island, Italians, Italy, january, lager, Mediterranean, memory, militars, nazi, nazism, no, Norwegian, Oria, Patroclus, Piraeus, Red Cross, refugees, Rhodes, road, rock, sea, second, ship, shipwrecked, soldiers, Sounion, steamship, story, street, Sunio, tragedy, water, way, witness, World War, www.piroscafooria.it.